There's nothing that screams "class" like a pillar-less coupe with a V8 in front, drive wheels in the back, and build quality designed to outlive mankind's next three evolutionary steps. This one is so darn dependable that it comes with a 5-year warranty, which is unheard-of in a car that's nearly 30 year old. Having a family doesn't mean that you need to pack up your dignity, buy a Caravan, and patiently wait until some unseen deity decides that it's time to call it a life. You can buy this pristine E500 wagon and have the luxury of a well looked-after german super-cruiser, while having no major mechanical issues and the power to overtake any mediocrity-mobile on the highway. This beautiful top-spec German roadster was made at a time when Mercedes was more concerned about creating desirable icons than they were about penetrating market segments. That's why the iconic shape of this decades-old example will never go out of style. It's in great shape and for this price, you'd be hard-pressed to find a better and cleaner-running example anywhere. Here it is: a factory Mercedes-Benz hot rod. It's what happens when the company takes their 5.5 liter naturally aspirated V8 and puts it into their smallest available chassis. The result is nothing short of spectacular, with more power and torque on tap than the BMW M3 of the time. It's quite the find. Do you want to drive across the country with furniture in tow, but need everyone around you to know about your eclectic taste in fine German automobiles? Well, fret no more, as this is your chance to own this delightful blue short bus, complete with manual transmission and rear dining room. This car is so ridiculously overengineered that it's still used by foreign heads of state to this day. It had dead reliable mechanicals, and just enough upscale gadgets to keep you entertained enough not to fall asleep from the supple ride. Arnold Schwarzenegger used to own one, and if it's good enough for him, it's good enough for you. Have you ever played with Army men as a child? This is sort of like that, except with a lot more diesel fuel and property damage risk. This example has 2 doors, so it's a coupe. It also has 4-wheel drive and a manual transmission. It's practically a rally car. For this price, it has to be the best value here, if only for the weight of metal alone. In the 80s, Mercedes-Benz and BMW had an all-out war between their equally high-strung saloons. MB's offering was known as the 190E 2.3-16, sporting a decent amount of power from its adequate 4-cylinder engine. This models is becoming more rare by the day, and it's only a matter of time before it skyrockets in value like its rival, the BMW E30 M3. This fixer-upper is so damn cheap I almost bought it myself. It's busted Honda Civic money for a rare German sports saloon. Can you really get any better than that? This 1977 W116 450SEL 6.9 is everything a Mercedes should be. Big, safe, fast, high tech, luxurious, understated, cooler than hell, and black. You can't not look awesome . My god this car is perfect. Oh, and it's a European grey-market car, so no awful 5mph bumpers. And it has 32k original miles. This is my idea of heaven. This car isn't on eBay, but here's an almost identical one that is. There aren't enough good things to say about this car. It's the ultimate bargain, in nearly every conceivable meaning of the phrase. I currently daily drive a modified S500, and have owned two others in the last two years. 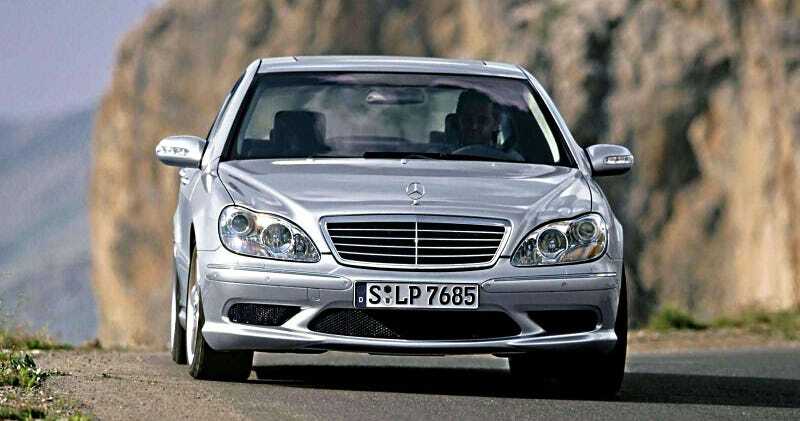 Whether it's the bone stock S430 to the formidable S600 (both naturally aspirated and bi-turbo), to the performance-oriented S55 AMG, there aren't any "bad" W220s. Sure, they can have expensive repairs, but these cars had original prices rivaling the asking price of 3-bedroom houses. The fact that you can buy them for 5-10 percent of their original price, with all mechanicals and electronics intact is nothing short of an automotive miracle. I love this car, and it looks like the rest of you share my sentiment. Check out how seriously cheap they are right this second!